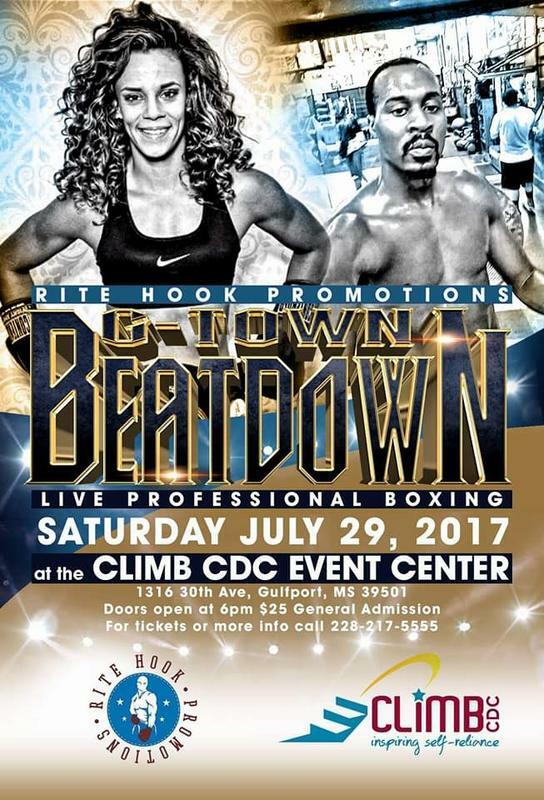 Rite Hook Promotions Live Professional Boxing. 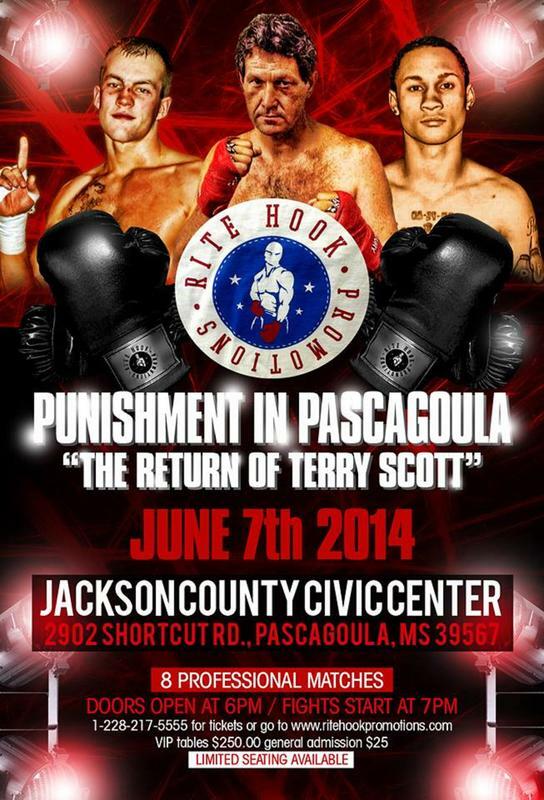 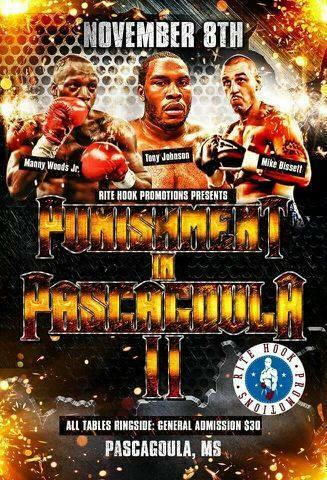 Main event Terry Scott Jr.
LIVE PROFFESIONAL BOXING AT THE BILOXI CIVIC CENTER SEPTEMBER 7TH. 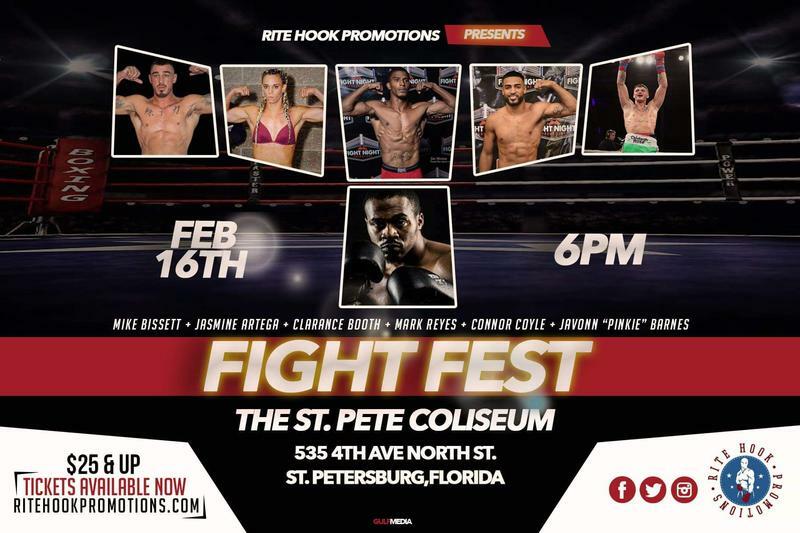 FIGHTERS FROM LAS VEGAS, ATLANTA, TAMPA, AND NASHVILLE WILL SQUARE OFF.